Fly Protection: Sprays, Sheets, Wraps, etc. Grooming: Brushes, Hoof Picks, Clippers, etc. Horse Bathing & Cleaning: Shampoos, Sprays, Tools, Vacuums, Sponges, Mane & Tail Products etc. Here you’ll find information and honest, real life reviews of the latest and greatest horse and horse care related products on the market. We’re trying our best to test and review as many products as possible and add new products daily! Make sure you check back often to learn about the newest and top rated products available! If you see a “AE Rocket Approved” seal by any products listed on our website it means that it is a product that has been personally tested and reviewed first hand by one of our staff members. If you see an “AE Rocket Proof” seal by any products listed on our website it means that this product has been put through an extensive trial and up to the test with the most destructive of horses and has survived. If you see an “AE Endorsed Review” seal by any of our products it means that Amateur Equestrian has received compensation to specifically review this product on our website. By law we are required to let our visitors know if any product review was paid for. This does not, in any way, change or sway our opinion of the product we review or the quality and honest testing of the review itself. With so many horse products on the market, we need your help to review them all! Want to tell us about your personal experience with a horse product you have tried? Send us an email at info@amateurequestrian.com with the subject line “Horse Care Product Review”. Show us why you LOVE or HATE the product and include photos! We’ll either create a listing with your personal review or add your personal experience into our website to help other horse owners learn which products you swear by and which ones you feel they should stay away from! Do you have a product of your own you would like us to review? Are you a company with a specific product you want us to review on our website? Are you an inventor with a brand new product you’d love to get tested and shown to our audience? 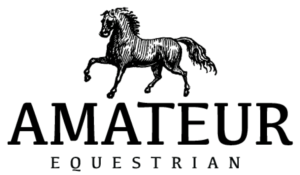 Contact us at info@amateurequestrian.com. with the subject line “New Horse Care Product Review”.